During World War II, some of Hollywood’s top stars went overseas to fight. From Clark Gable, James Stewart and Robert Taylor, each returned home to their careers, though they also were changed people from their war experiences. But some performers didn’t return home from World War II. Phillips Holmes (July 22, 1907 – August 12, 1942) Phillips Holmes was an American actor who starred in 48 films from 1928 to 1938, though the bulk of his films were made in the 1930s. Some of his filmography includes An American Tragedy (1931), Dinner at Eight (1933) and Great Expectations. In 1938, Holmes decided to turn his attention to the stage. However, when World War II began, Holmes and his brother Ralph enlisted with the Royal Canadian Air Force in 1941 before the United States entered the war. Holmes graduated from Air Ground School in Winnipeg. On Aug. 12, 1942, while flying to another base in Ottawa, their plane collided with another aircraft in Ontario and killed everyone on board. Holmes was 33 years old. Last weekend, I set out to find six celebrities buried in Arlington National Cemetery in Washington, DC. The venture took four hours and more than five miles of walking. To put that into perspective, we were hunting for six graves out of more than 400,000 people buried in the 26 square mile cemetery with roughly an 8 mile trail running through it. This week, I am highlighting these people who either served in the military or were married to military personnel. Note: Johnny Carson once said Marvin fought in the Battle of Iwo Jima with Bob Keeshan, who played Capt. Kangaroo. This is incorrect. Marvin was in the Battle of Saipan and Keeshan did not see combat. 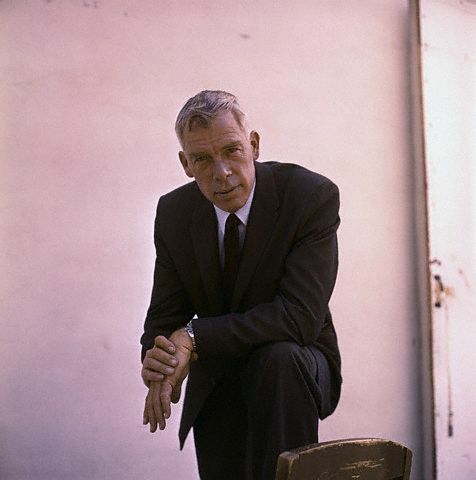 Actor Lee Marvin in the 1960s. Actor Lee Marvin, known for his premature silver hair, frequently played gruff and tough characters throughout his acting career that began in 1950 and ended in 1986. Off-screen, he was known for crazy, reckless shenanigans but was a “team player” and worked to get the best from his co-stars on set. This could be due to his military background. 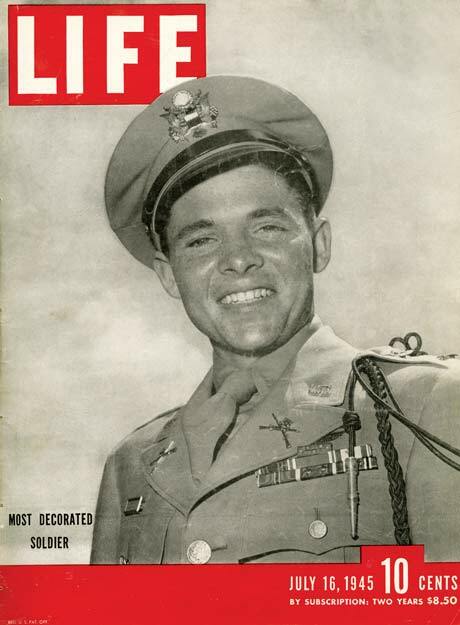 Like many post-war stars including Tony Curtis, Clint Eastwood and Ernest Borgnine, Marvin served in World War II. “The war really had an effect on me,” Marvin said many years after the war, quoted in the book “Lee Marvin: Point Blank” by Dwayne Epstein. In August 1942, Marvin, 18, enlisted in the Marines in New York. He trained at Parris Island in South Carolina and a base at New River, NC. His father, Lamont Marvin, who decorated in World War I, taught his sons how to handle a gun. Lamont, 51, also enlisted with his son. 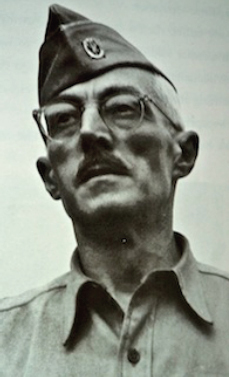 Lee’s father helped set up anti-aircraft gun emplacements in England, according to “Stars in the Corps: Movie Actors in the United States Marines” by James E. Wise and Anne Collier Rehill. Marvin went to Quartermaster School in North Carolina and was promoted to corporal, then was ordered to Service Company, Marine Barracks at Camp Elliot in San Diego, CA. But he was demoted to private after Marvin, known for being a troublemaker, caused some issues. Also due to his behavior, Marvin was on mess duty for a month, according to the Wise and Rehill book. But in January 1944, Marvin was done with his mess duties and was shipped to the Marshall Islands. 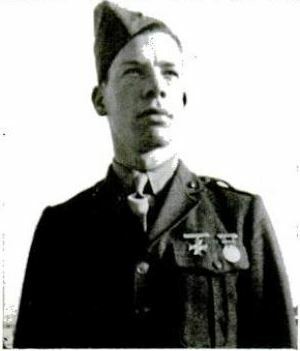 He was with D Company, 4th Tank Battallion (Scout-Snipers), Headquarters Battalion, 4th Marine Division, according to the Wise and Rehill book. Marvin was part of the 22d Marines, which would survey the area before the attack, specifically Kwajalein. Once the United States Marines had taken Eniwetok and Kwajalein, Marvin was sent to Hawaii for training and then he was sent to Saipan in June 1944, according to the Wise and Rehill book. 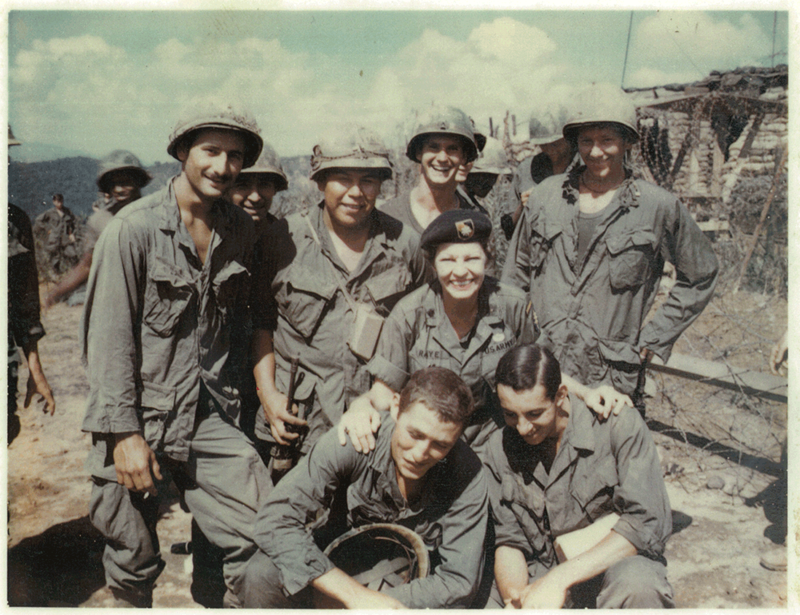 In the invasion of Saipan, Marvin was one of six out of 247 men in his unit who wasn’t killed, according to a Sept. 27, 1968, LIFE magazine article. Marvin was wounded in June 1944 at age 21 in Saipan’s “Death Valley.” He was blown off his stretcher and was on the beach during a counter attack, watching his fellow Marines die. He was treated for 13 months in naval hospitals for a severed sciatic nerve and was awarded the Purple Heart in a hospital on Guadalcanal. He was nearly permanently paralyzed by his injury, according to Wise and Rehill’s book. Marvin wanted to get back into combat but his injury kept him in the hospital preventing that. Not being able to return made him feel angry, frustrated and guilty, according Epstein’s book. Marvin was unable to reenlist due to his disability status that came with his injury. Marvin worked odd jobs until he got into acting in New York. He was in off-Broadway plays from 1948 to 1950 until he started in television and films in 1950. In 1968, Marvin returned to the Pacific for “Hell in the Pacific,” co-starring Toshirô Mifune, about an American pilot during World War II who is on a deserted uninhabited Pacific island with a Japanese Naval captain. During the war, Mifune was a Japanese officer. Marvin wondered if returning to the island would return “old gung-ho feelings,” but he said he felt nothing; maybe if it had been three years after the war but not 23. 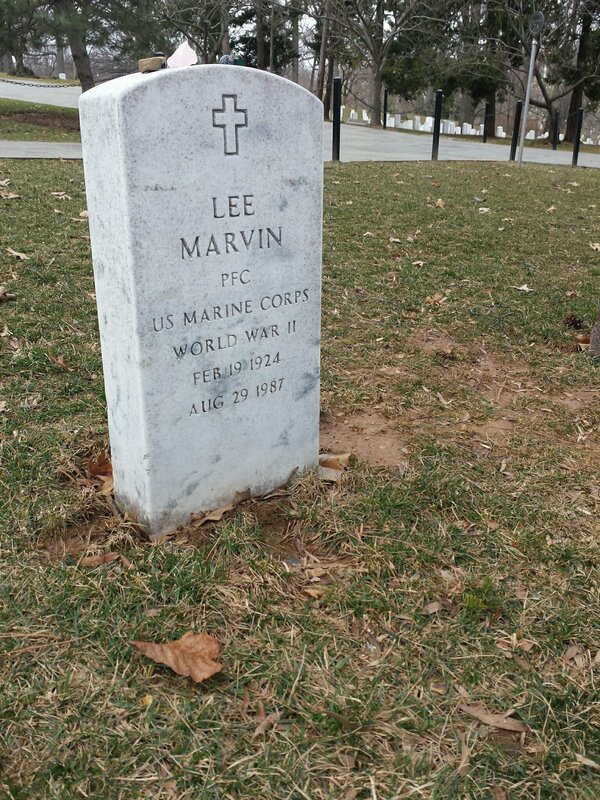 Marvin died in 1987 and was buried in Arlington National Cemetery. Marvin rests in section 7A, just below the Tomb of the Unknown Soldier. This area is for distinguished veterans, which include World War II fighter pilot, Col. Pappy Boyington, boxer Joe Louis and ABC reporter Frank Reynolds. Spouses and minor children of veterans are able to be buried in Arlington National Cemetery. A few actresses are buried with their military husbands including Priscilla Lane, Constance Bennett and Phyllis Kirk. Eligibility includes a widow or widower of an eligible member, including the widow(er) of a member of the Armed Forces who was lost or buried at sea or was determined missing in action. A surviving spouse who has re-married and whose remarriage is void, terminated by death, or dissolved by annulment or divorce by a court with basic authority to render such decrees regains eligibility for burial in Arlington National Cemetery unless it is determined that the decree of annulment or divorce was secured through fraud or collusion, according to Arlington National Cemetery’s guidelines. Widows or widowers of service members who are interred in Arlington National Cemetery as part of a group burial may be interred in the same cemetery but not in the same grave. Actress Priscilla Lane in the late-1930s. Actress Priscilla Lane, famous for her roles in “Arsenic and Old Lace,” the “Four Daughters” trilogy and Alfred Hitchcock’s “Saboteur,” met Army Air Force Lt. Joseph A. Howard in 1942. 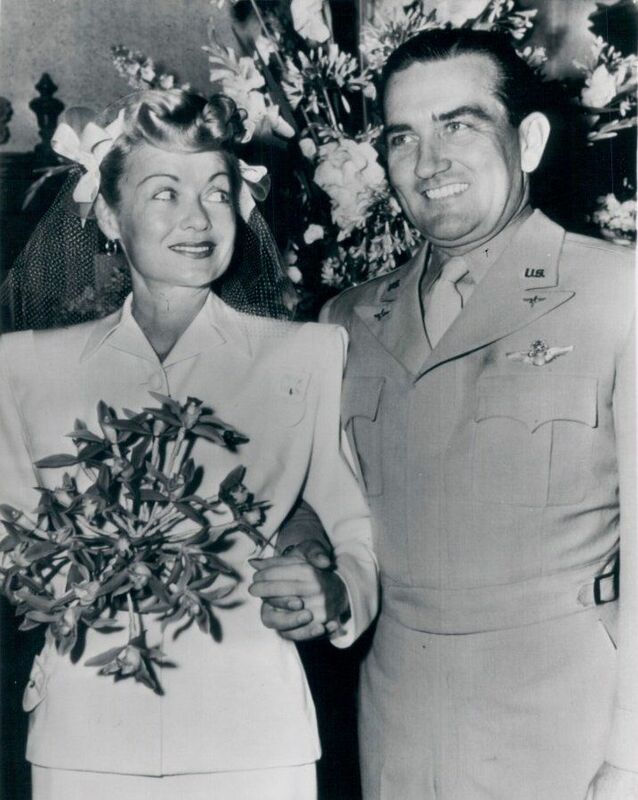 They were married in May 1942, and Lane took a suspension from Warner Brothers so she could travel with Howard from base to base until he was shipped overseas to fight in World War II. “At Warner’s it is said she requested the time off. But nothing has been said about her permanent retirement,” gossip columnist Louella Parsons wrote in an Oct. 2, 1942 column. Lane turned down several movie offers and said marriage was a 24 hour job. “Priscilla has had plenty of offers to return to the movies but so far has passed them up. “Marriage is a 24 hour job,” she says,” quoted in an Oct. 24, 1943, column by Inga Arvad. 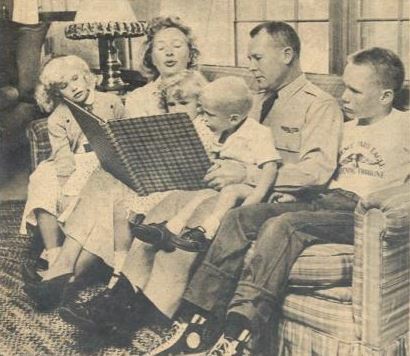 Priscilla Lane, her husband Joseph Howard and their children in 1958. Lane did not return to films until 1947 for the Eddie Bracken film “Fun on a Weekend” (1947). Lane was quoted in the article saying she found other things were more important after the war started. After the war, the Howards moved to Van Nuys, CA, in 1946 where Joseph worked as a contractor, according to “The Women of Warner Brothers” by Daniel Bubbeo. They later moved to lake front property in Massachusetts. 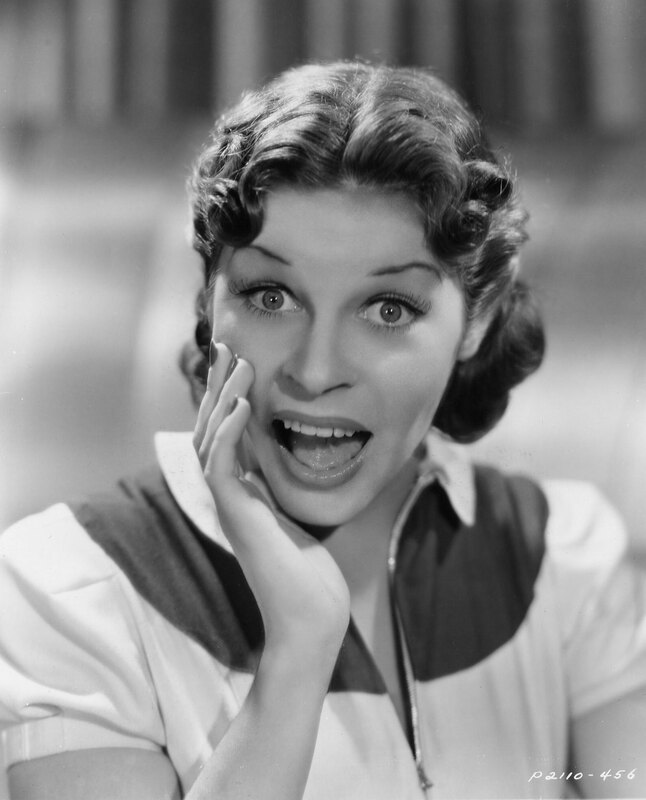 Rumors got out that Lane was retiring from show business, which she denied. “I love show business, but my first duty is to a wonderful husband and my two lovely children,” she said. Howard and Lane had four children together: Joseph (1945), Hannah (1950), Judith (1953) and James (1955). 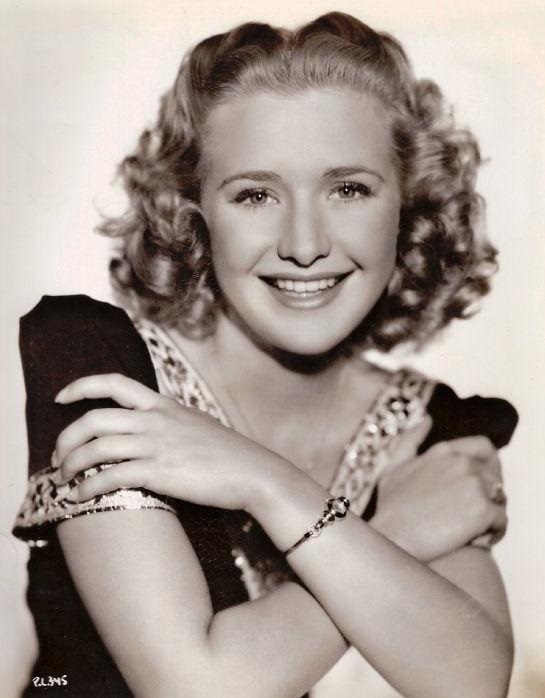 She still did some commercials and had a morning show in Boston called “The Priscilla Lane Show” where she interviewed guests and screened old films. Also in her retirement, she was active with her garden, volunteered in hospitals, was a Girl Scout troop leader and directed school plays. Her son Joe said she was similar to her characters on screen; high spirited and always in the mood for a joke, according to Bubbeo’s book. The Howards moved to New Hampshire in 1972 to the Howard family farm in Deer, NH. 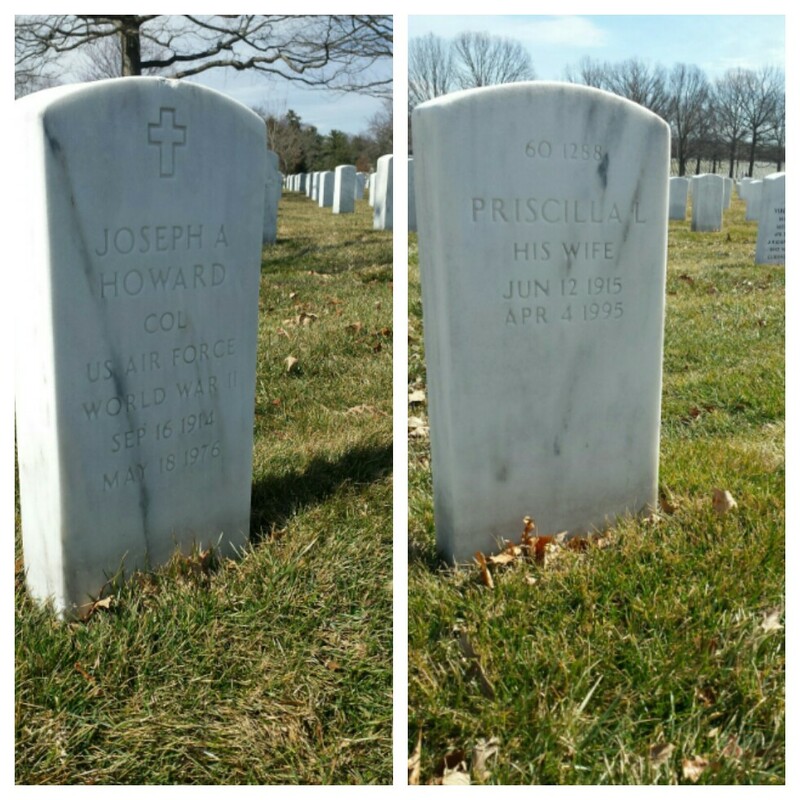 On May 8, 1976, Howard passed away at the age of 61 and was buried in Arlington National Cemetery. “I’m still trying to pull myself together,” Lane said about her husband’s death a year later in a 1977 interview in the Boston Herald American. Lane was diagnosed in 1994 with lung cancer and refused radiation or chemotherapy, according to Bubbeo’s book. 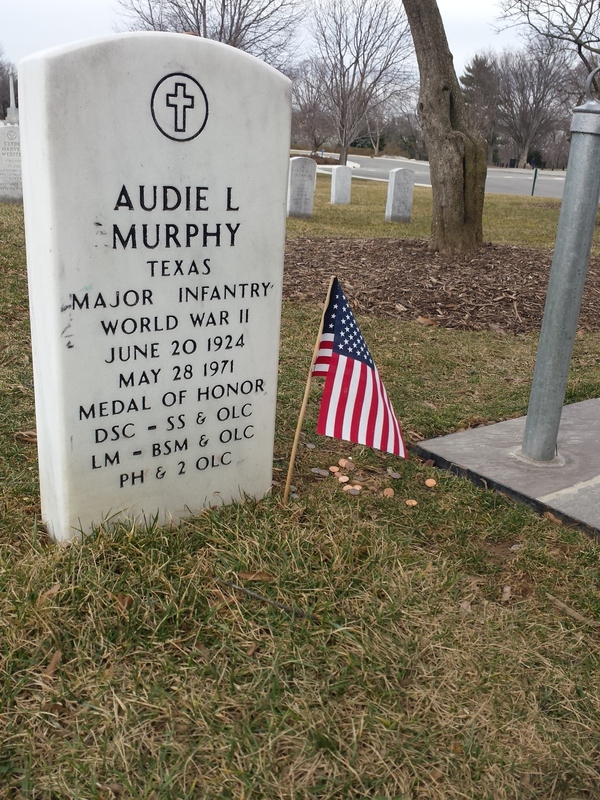 She passed away in 1995 and was buried with her husband in Arlington. To get to Bennett and Coulter’s grave we hiked up a steep hill…realizing there was a road once we got to the top. This was the most difficult to find of all the graves we visited. Actress Constance Bennett at the height of her career in the 1930s. 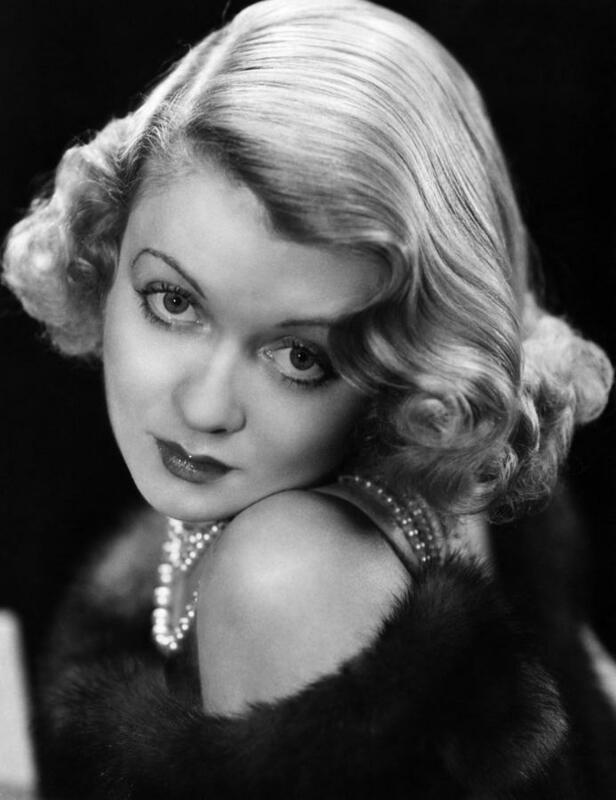 Actress Constance Bennett, sister of Joan Bennett and most famous in the 1930s, met John Theron Coulter in 1941 when he was an Army Air Corp colonel. Originally from Mississippi, Coulter’s love of flying took him to Officer’s Candidate School and he was then stationed in Riverside, CA. When World War II broke out, his commanding officer asked if he wanted to stay in the United States or go overseas. His wife Martha was in the hospital recovering from a wreck so he stayed in the United States with her, according to “The Bennetts: An Acting Family” by Brian Kellow. 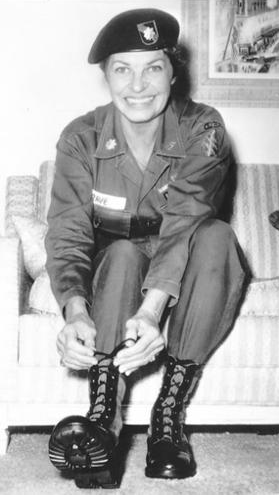 In the United States, Coulter served as the technical advisor on military pictures at Warner Brothers Studios; teaching combat tips to actors such as Gary Cooper and Cary Grant, according to Kellow’s book. Bennett and Coulter met at a Warner Brothers party that he was at with his wife Martha. He soon divorced Martha for Bennett. However, in April 1941, Constance married actor Gilbert Roland, but once Roland was drafted after Pearl Harbor, her relationship with Coulter continued. The two married in 1946, two days after her divorce with Roland was finalized. This was Bennett’s fifth marriage. Constance Bennett and John Theron Coulter on their 1946 wedding day. 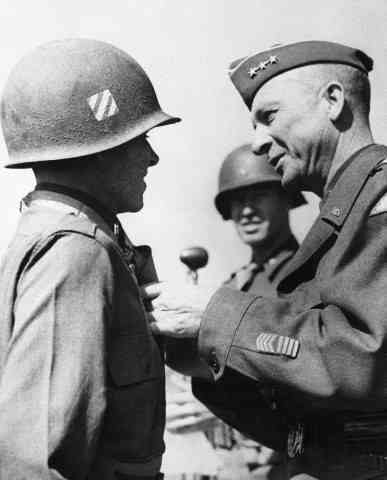 In 1948, Coulter, now a general, joined the Berlin Airlift Task Force in December 1948, as group commander of the 60th Troop Carrier Group. He became Wing Commander of the 60th Troop Carrier Wing and commander of the Royal Air Force Station, at Fassberg, Germany. When the wing and base were deactivated after the airlift, Coulter was named assistant deputy chief of staff for operations, Headquarters, USAFE. 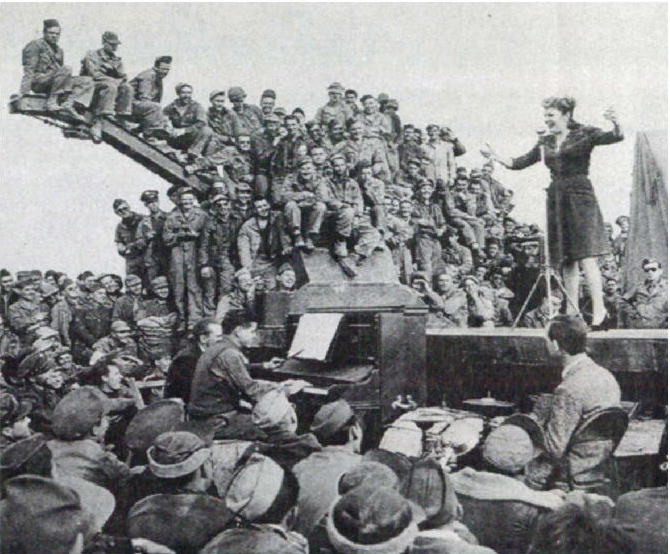 Morale was low on the Fassberg, Germany base and Bennett helped cheer people with her high spirits and kept the RAF wives entertained. She also attracted her Hollywood friends to come and entertain, according to “The Berlin Airlift” by Ann and John Tusa. Bennett would also work with the other wives distrusting coffee and cakes at Fassberg, according to “The Candy Bombers” by Wolfgang J. Huschke. Bennett also often greeted the pilots and ate with mechanics in the mess hall, according to “Daring Young Men” by Richard Reeves. 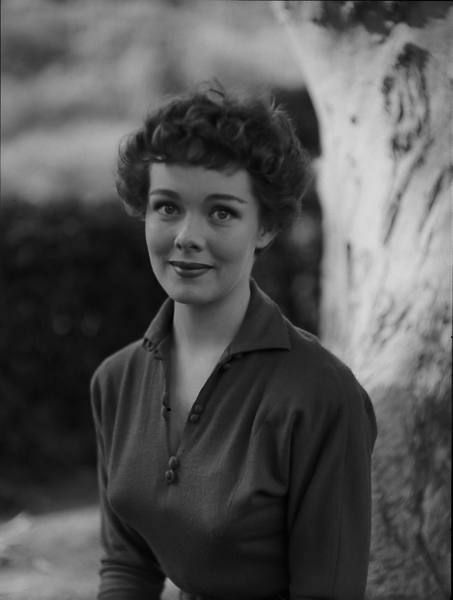 While stationed in Germany, Bennett also produced the play “John Loves Mary” for occupying forces starring father and daughter actors, Gene and June Lockhart. The Coulters moved to Washington, DC in 1952, where Bennett also produced plays in the area and occasionally had singing engagement. The couple lived on Northwest Thirtieth Street in Georgetown, according to a June 1953 Associated Press article. In 1958, Coulter was named the commander of the 85th Air Division and the couple moved to Richard-Gebaur Air Force Base in Missouri, he was commander of the 20th Air Division. They also moved to Colorado, Paris and New Jersey. Bennett died in 1965 of a cerebral brain hemorrhage. 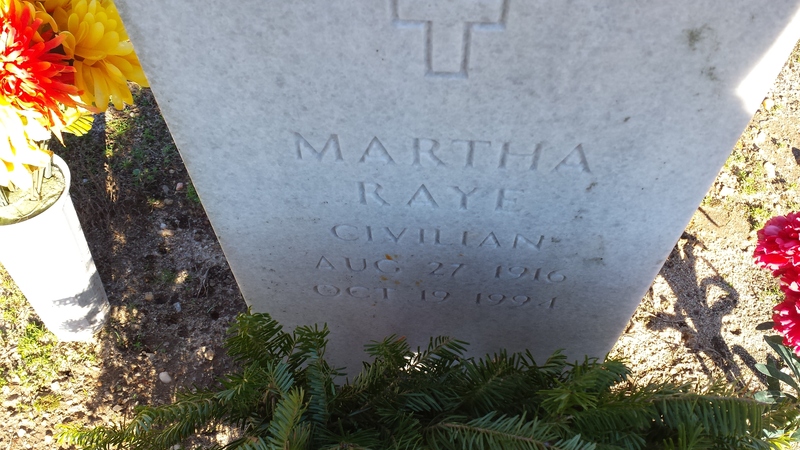 She was buried in Arlington National Cemetery due to her husband’s military involvement. After Bennett’s death, he married actress Virginia Pine in 1972. 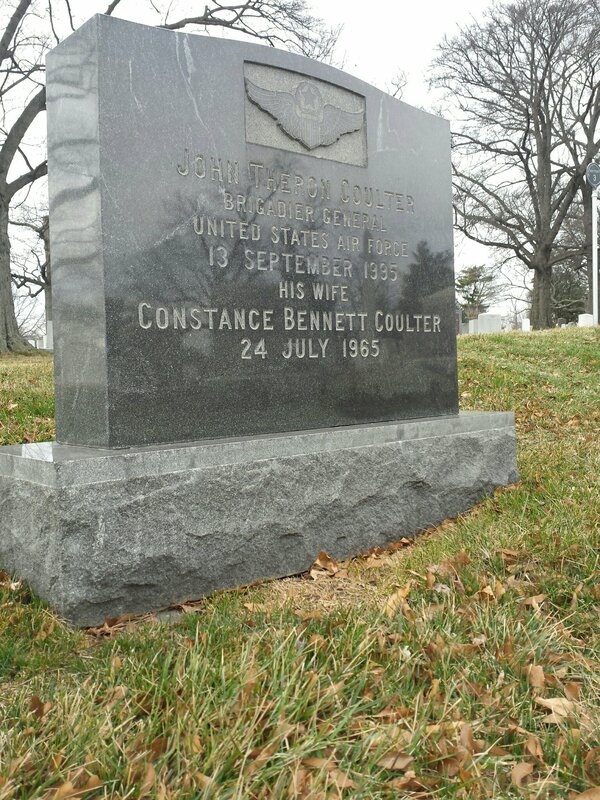 Coulter died in 1995 and is buried with Bennett in Arlington. 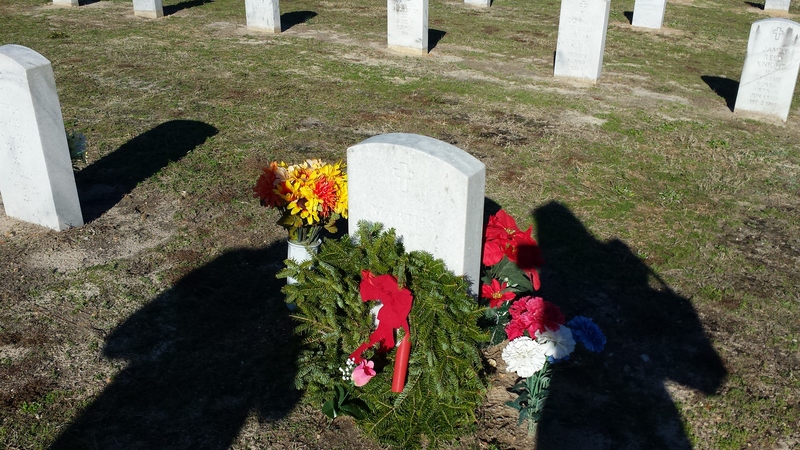 Though I did not visit Kirk’s grave, I still wanted to note she was buried in Arlington. Actress Phyllis Kirk in the early-1950s. Phyllis Kirk starred in 1950s films such as “Two Weeks with Love” and “House of Wax.” Towards the end of her Hollywood career, Kirk married CBS news producers Warren Bush in 1966. Bush was in the Army Air Force during World War II. Bush passed away in 1991 at age 65. Kirk died in 2006 and both are buried in Arlington National Cemetery. Oct. 2017 editor’s note: Maureen O’Hara (who passed away Oct. 2015) is also now buried in Arlington National Cemetery U.S. Air Force Brig. Gen. Charles F. Blair Jr.
Jackie Cooper as a child star in the 1930s. 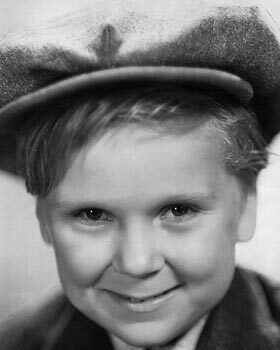 Known for his constant tears that rolled down chubby cheeks, Jackie Cooper was one of the top child actors of the 1930s. But life changed for Cooper when he joined the Navy during World War II. Cooper served in the Navy during World War II; going into the service in 1943 and was discharged in 1946.
Cooper went to Notre Dame in 1943 to 1944 for military training, but left after a scandal of contributing to the delinquency of a minor. A teenager got drunk in a group he was with, but Cooper was found innocent, according to his autobiography. 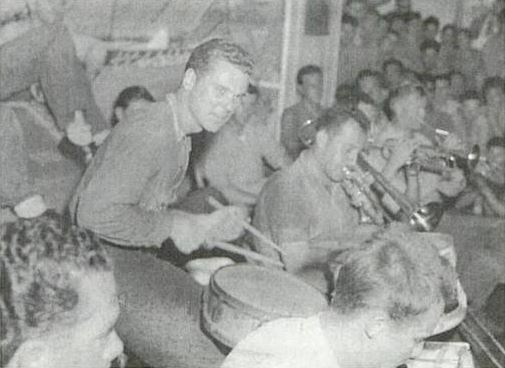 Jackie Cooper playing the drums during World War 2 with Claude Thornhill’s band. Bandleader Claude Thornhill was overseas originally in a Navy band started by Artie Shaw. When the band broke up, Thornhill asked Vice-Admiral Calhoun if he could form another band that played a remote bases in the South Pacific. The band was called Thornhill’s Raiders. Cooper, who was a drummer outside of his acting career, had played with Thornhill previously in 1942, and he called Cooper asking to join the band, according to Cooper’s autobiography. In 1944, Cooper was promoted to seaman third class and was performing at the Aiea Naval Hospital in Oahu. Starting in January 1945, the band performed for eight months over 28 islands across the Pacific via Navy Air Transport, according to his autobiography. Singer Dennis Day was also in the band. Friction between Day and Thornhill caused Thornhill to leave and morale for the band went downhill. Jackie Cooper when he was discharged in 1946. 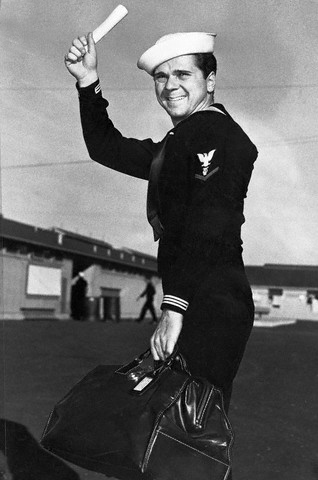 Original caption: Joyously waving his discharge paper, movie actor Jackie Cooper prepares to depart for Hollywood after leaving Navy separation center at Terminal Island, Long Beach. Cooper served 26 months and was discharged with rank of Musician, 3rd class. Cooper saw action once on Ulithi. The harbor had more than 5,550 ships of U.S. Navy carriers, gunboats and supply vessels and the Japanese Air Forces attacked. The Japanese had very little left to fight with, and one Kamikaze attempted to crash into a ship went right into the water, he wrote. Cooper was on the island New Caledonia when the war ended, and then went on a goodwill tour of New Zealand. Cooper was discharged in January 1946. After returning from the war, Cooper returned to Hollywood but eventually turned to directing rather than acting. He joined the Navy again as a Naval Reserve in 1961 and remained remaining in the reserves until 1982. His rejoining started with Naval Reserve recruitment advertisements until the Navy urged him to join. Cooper was a lieutenant commander and was promoted to captain in 1973. During his time in the Navy, Cooper made training films and promotions, but declined promoting the Vietnam War, because he disagreed. In 1970, Cooper became an honorary Naval Aviator, an honor also bestowed to actor Bob Hope. 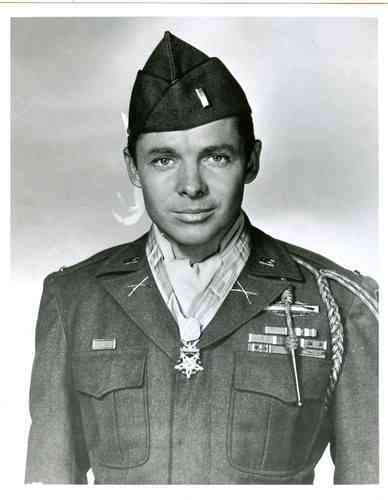 Upon Cooper’s retirement in 1982, he was decorated with the Legion of Merit by Navy Secretary John F. Lehman Jr. Other than James Stewart, no performer in his industry has achieved a higher uniformed rank in the US military, according to the U.S. Navy. 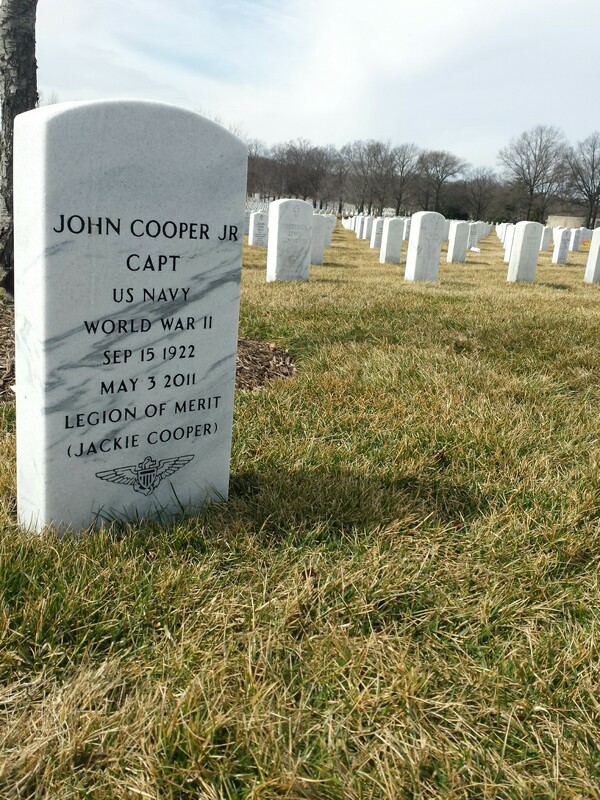 Cooper passed away in 2011 and is buried in Arlington National Cemetery with full military honors. The man who invented Nick and Nora Charles in the 1934 book “The Thin Man,” is a United States Army veteran of World War I and II. But before his detective novel days, Hammett was a soldier. 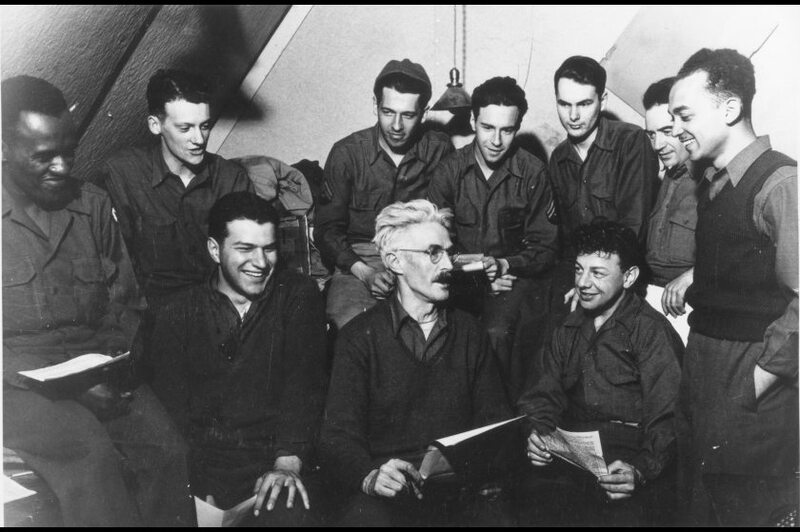 Enlisting in the Army in 1918, Hammett was a sergeant in the Motor Ambulance Corp. While serving, he contracted tuberculosis; a disease that affected him for the rest of his life, according to the PBS American Masters series. However, Hammett never got overseas during World War I. Frequent hospitals visits due to the flu and tuberculosis kept him stateside before he was discharged in May 1919, according to “Gentlemen Volunteers: The Story of the American Ambulance Drivers” in the Great War by Arlen J. Hansen. 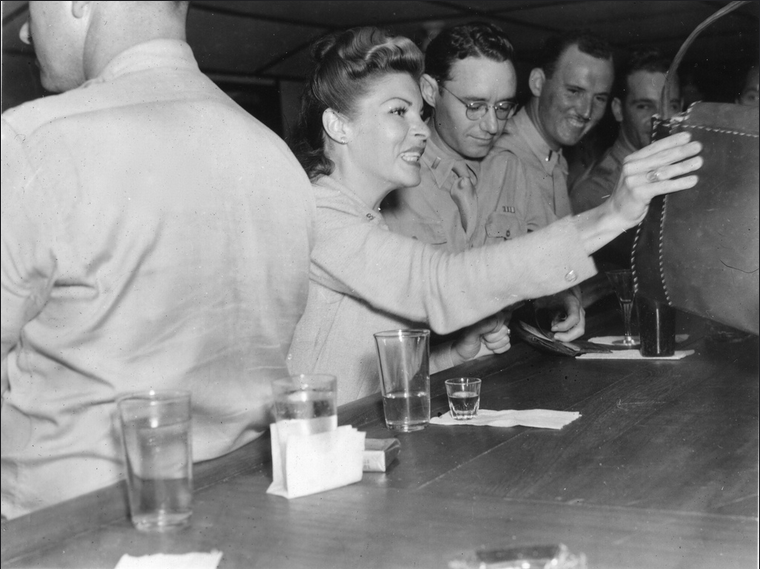 But in World War II, Hammett’s military duties were more active. Hammett,48, picked up his military career in 1941, at the height of his fame. After the bombing of Pearl Harbor, he enlisted in the Army as a private and was honorably discharged as a sergeant three year later. Hammett fought against the Japanese in Battle of Attu, islands located off of Alaska, which was part of the Aleutian Islands Campaign. This is the only World War II battle fought on incorporated United States territory. The battle lasted more than two weeks of hand-to-hand combat in arctic conditions. 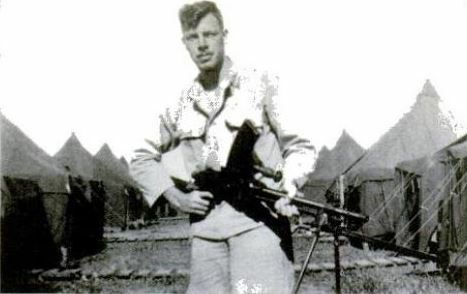 Hammett during World War II. Hammett also edited a post newspaper while serving on the Alaskan base, according to a 2009 article from the Alaska Dispatch News. In between his service in the World Wars, Hammett established himself writing detective novels, creating detective character Sam Spade. Many of his novels were turned into popular Hollywood films, most notably “The Thin Man,” which became a series starring William Powell and Myrna Loy, and “The Maltese Falcon,” starring Humphrey Bogart, Mary Astor and marking the screen debut of Sydney Greenstreet. 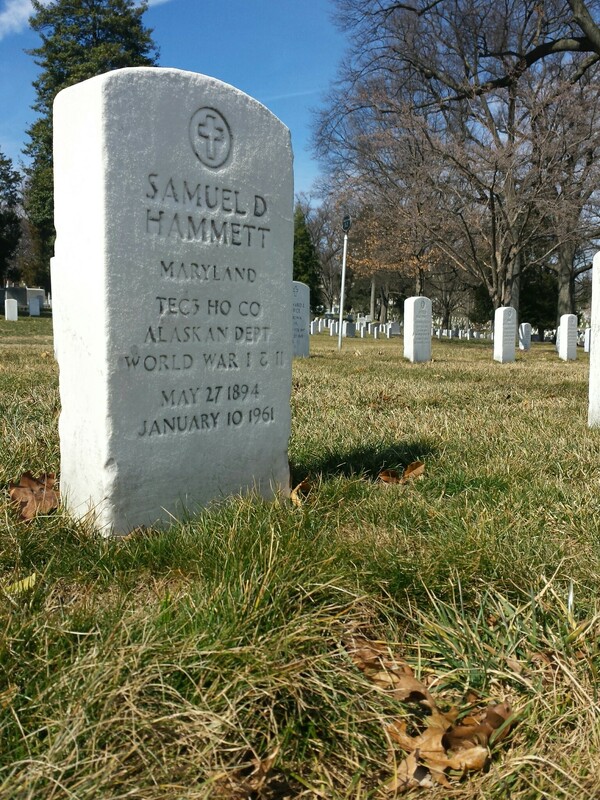 Hammett passed away in New York in 1961 but was buried in Arlington National Cemetery with military honors.